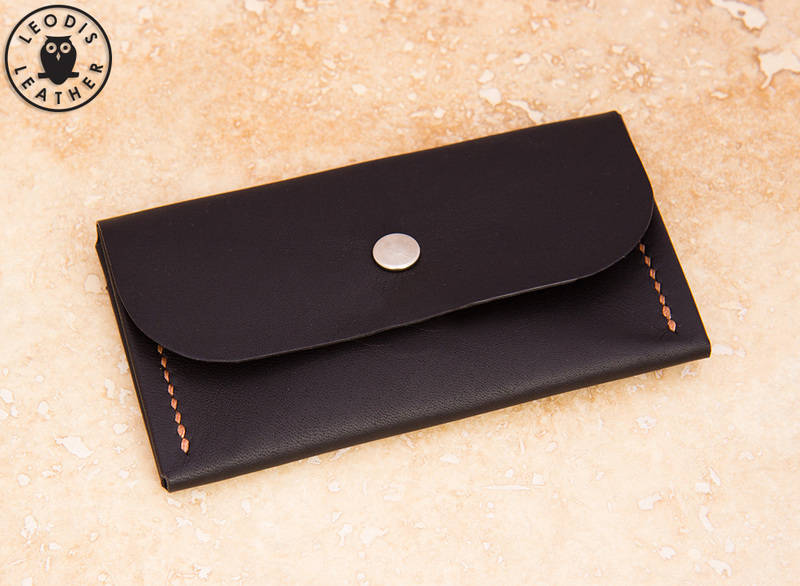 The following models of wallets and purses are available. 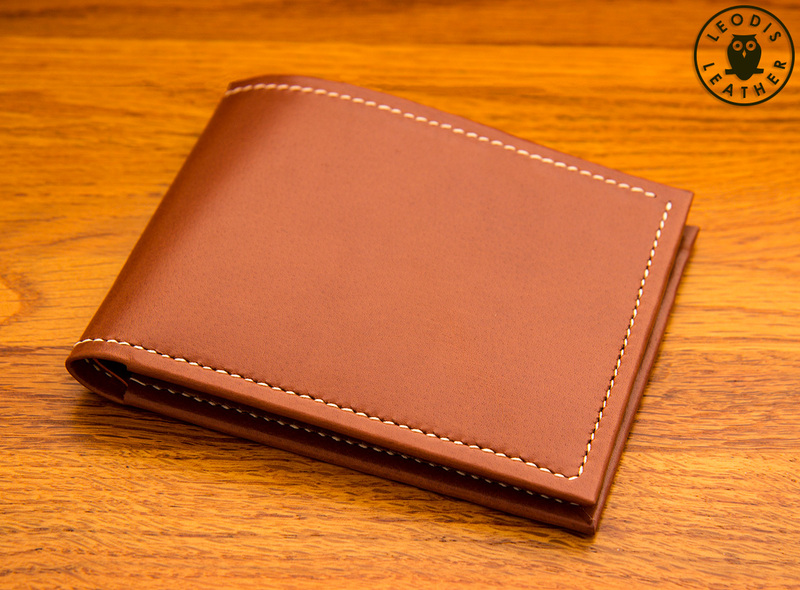 Please note that due to the extensive developement needed for wallet and purse patterns it is not possible to order other designs. 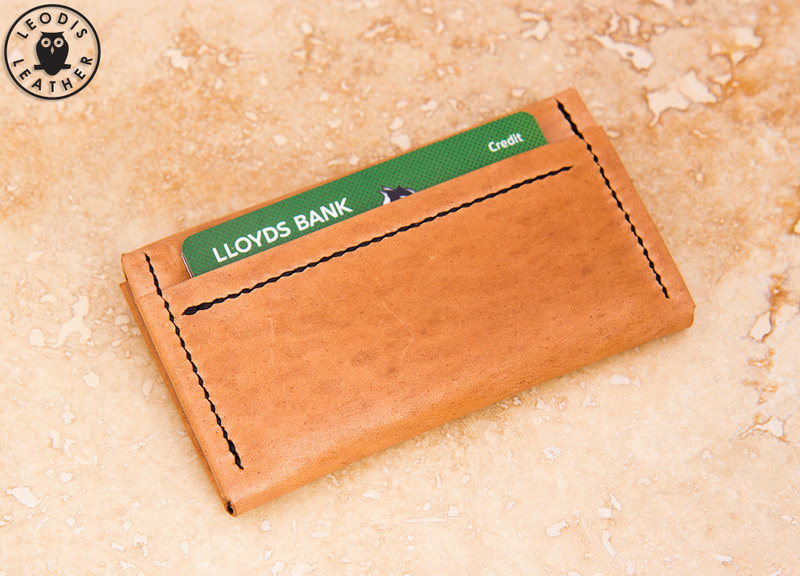 Different leathers and colours can be chosen though and it is also possible to add your initials and certain stamps. 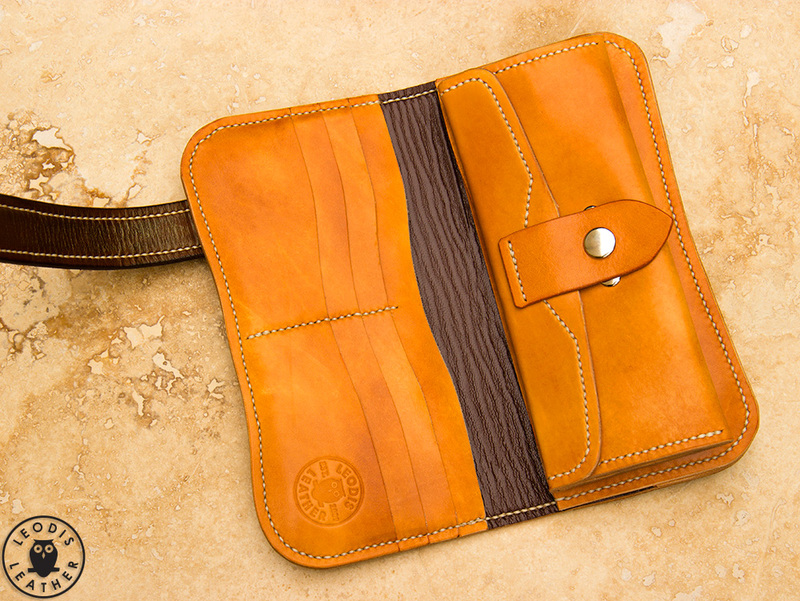 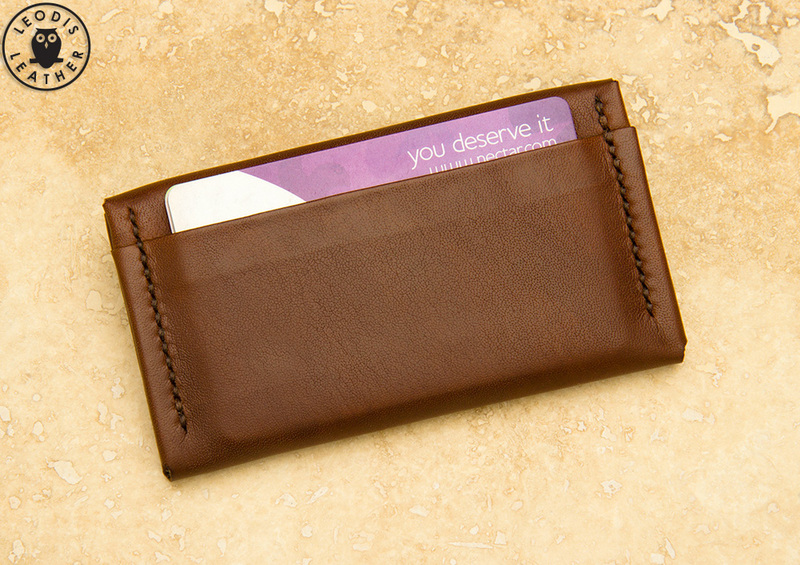 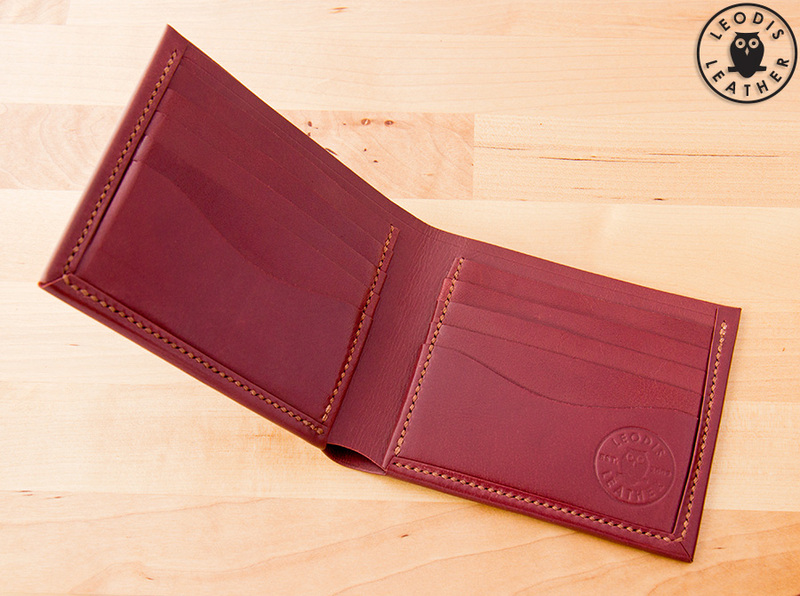 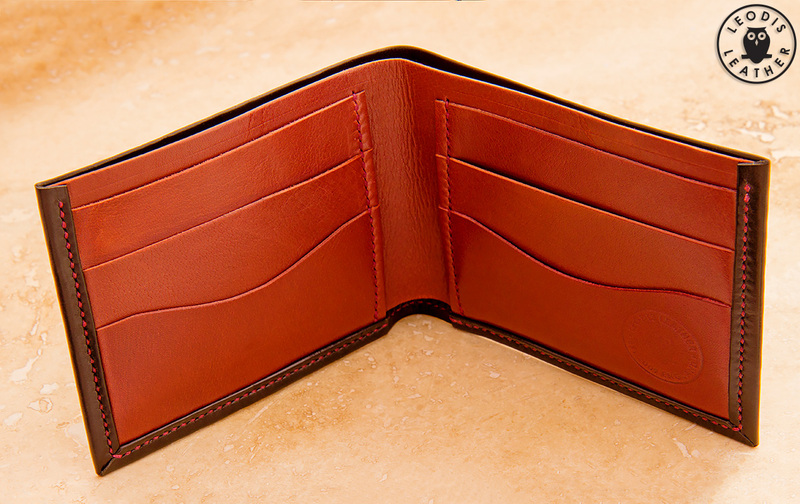 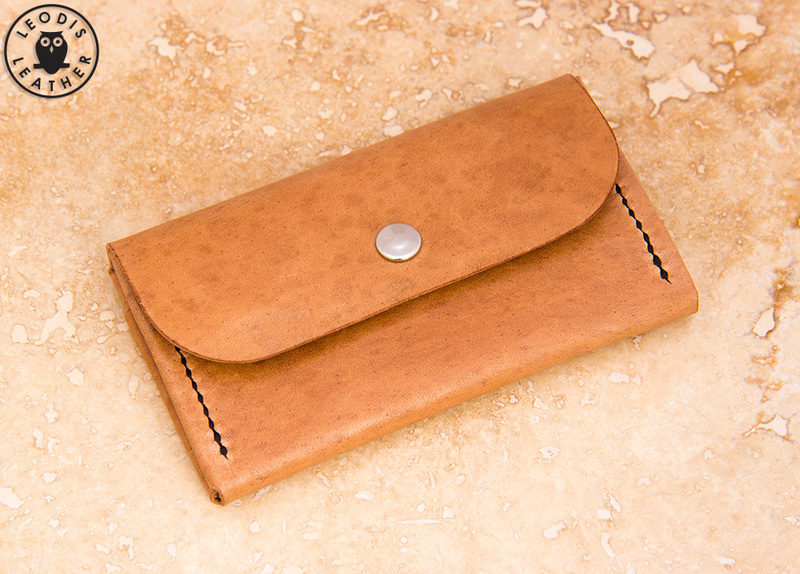 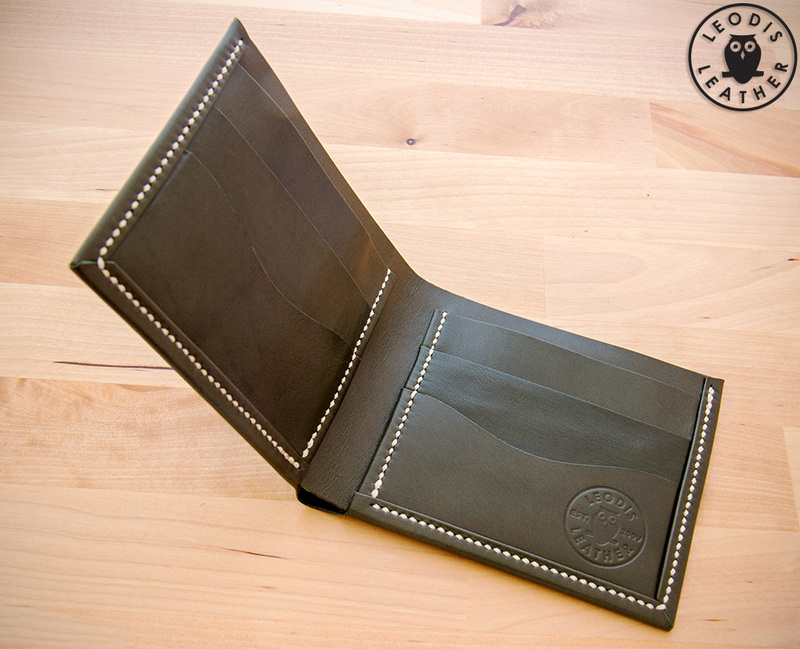 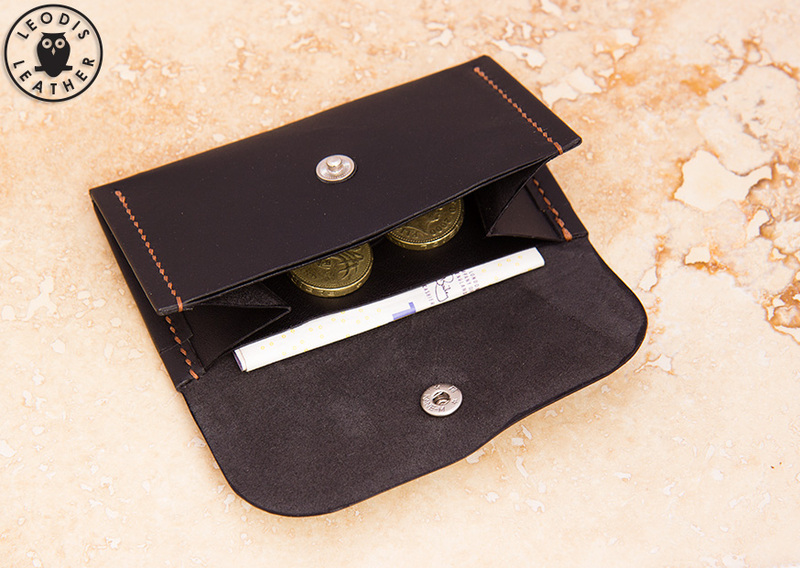 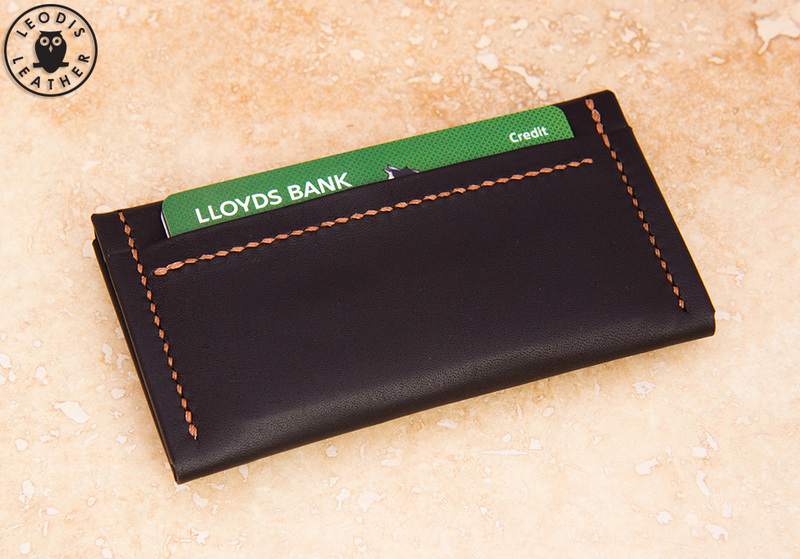 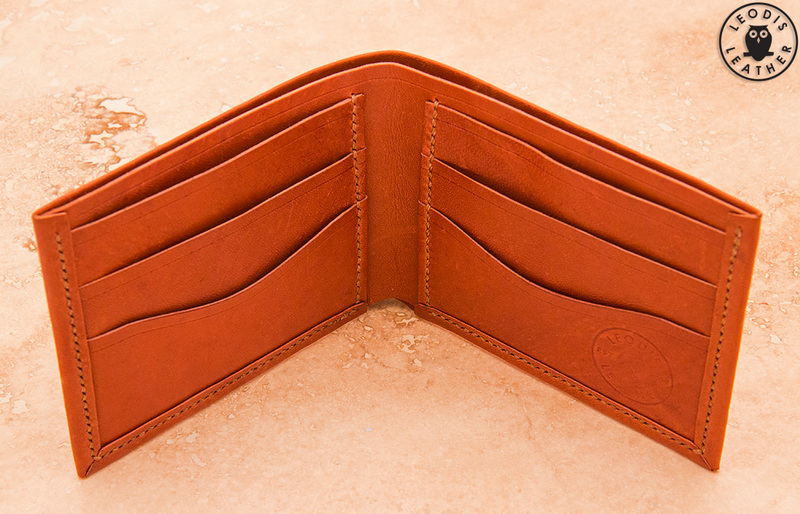 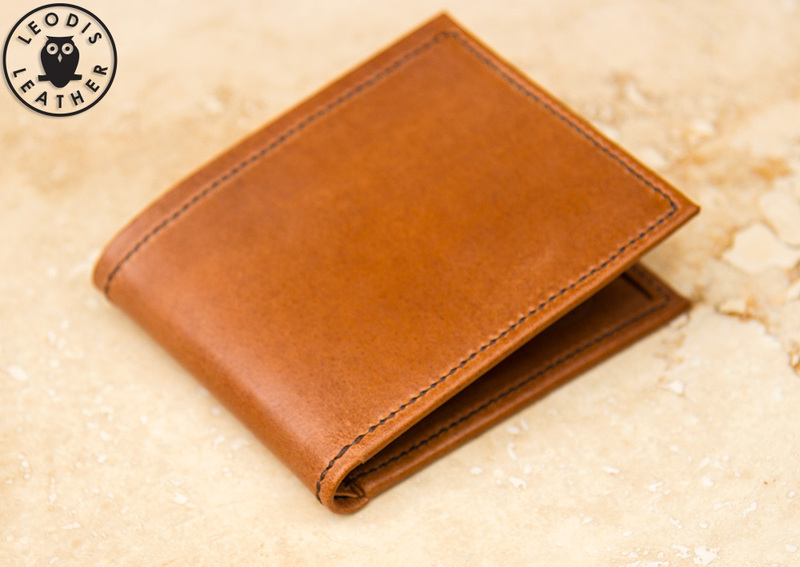 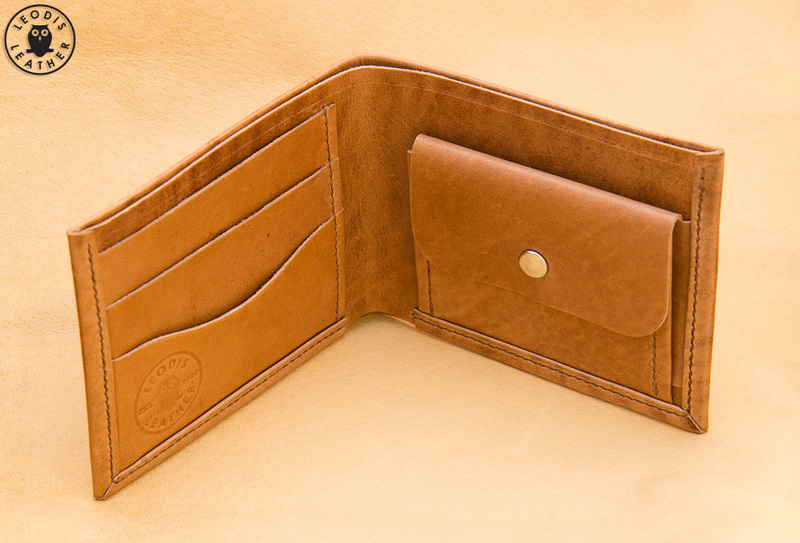 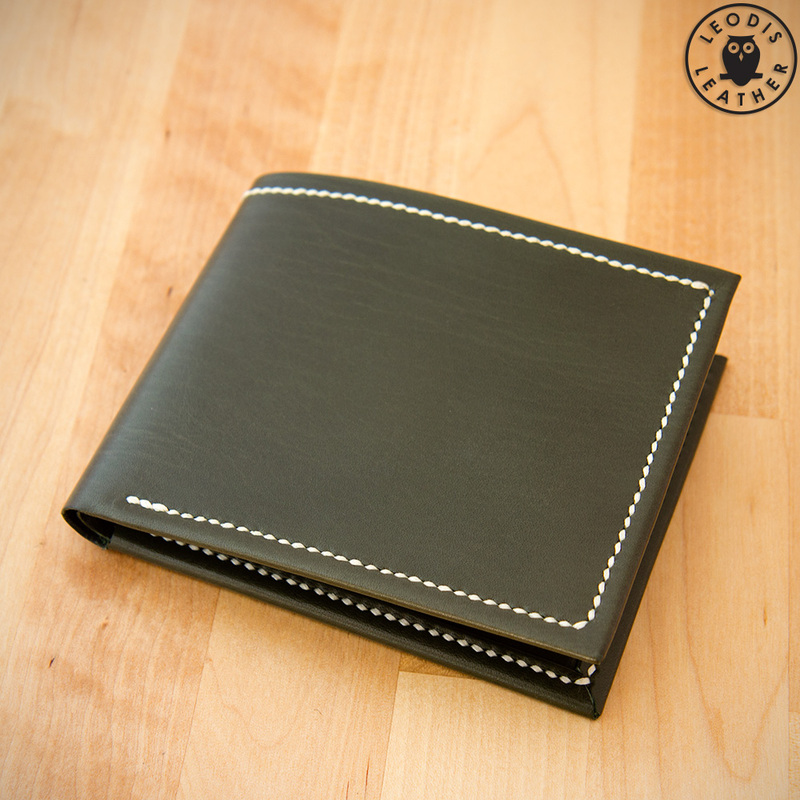 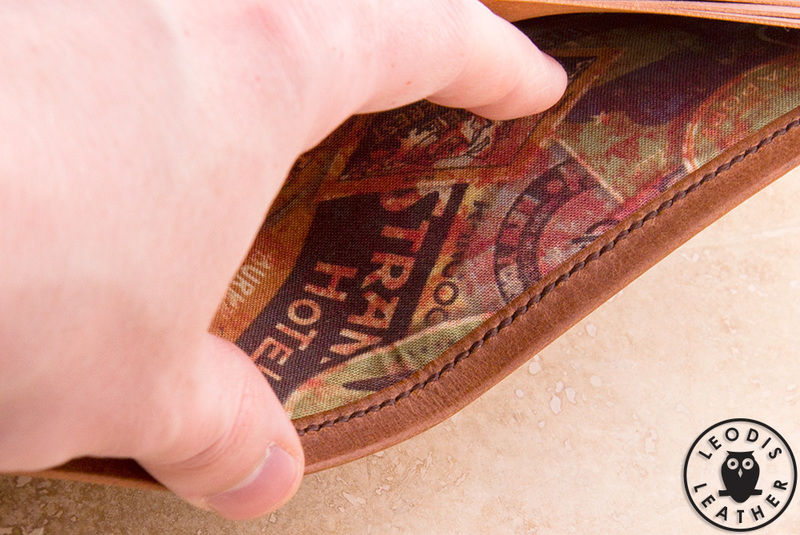 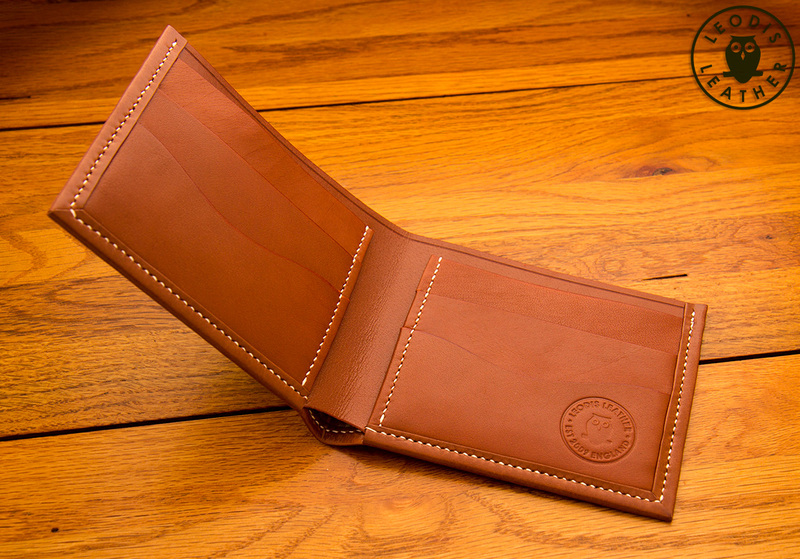 All wallets are made from 100% leather construction, there are no cloth or plastic parts! 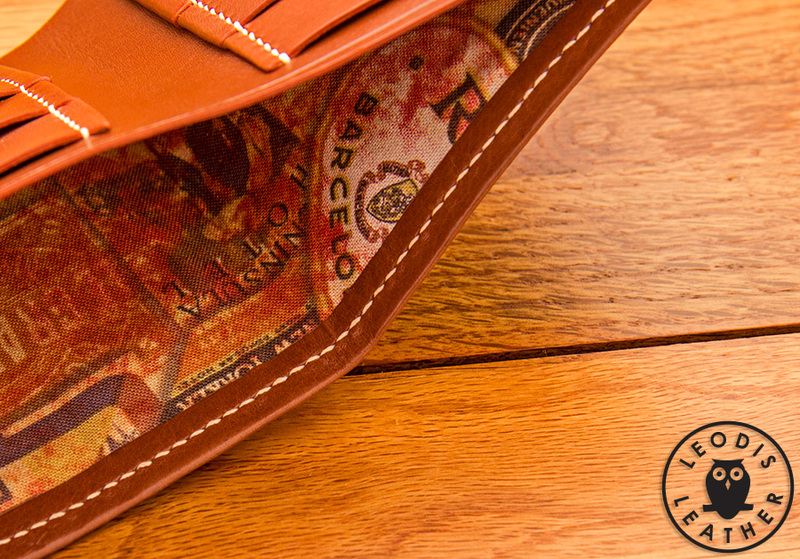 All items are hand stitched throughout. 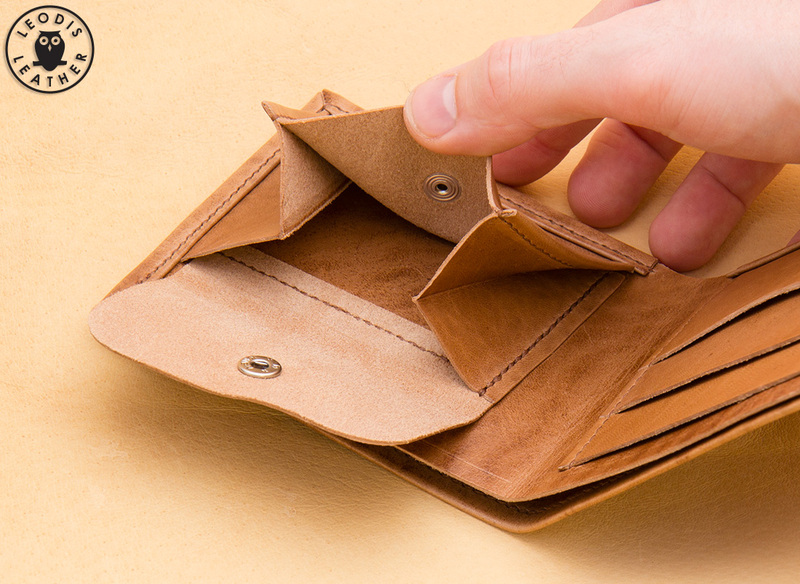 Please note this model has solid burished edges rather than turned edges. 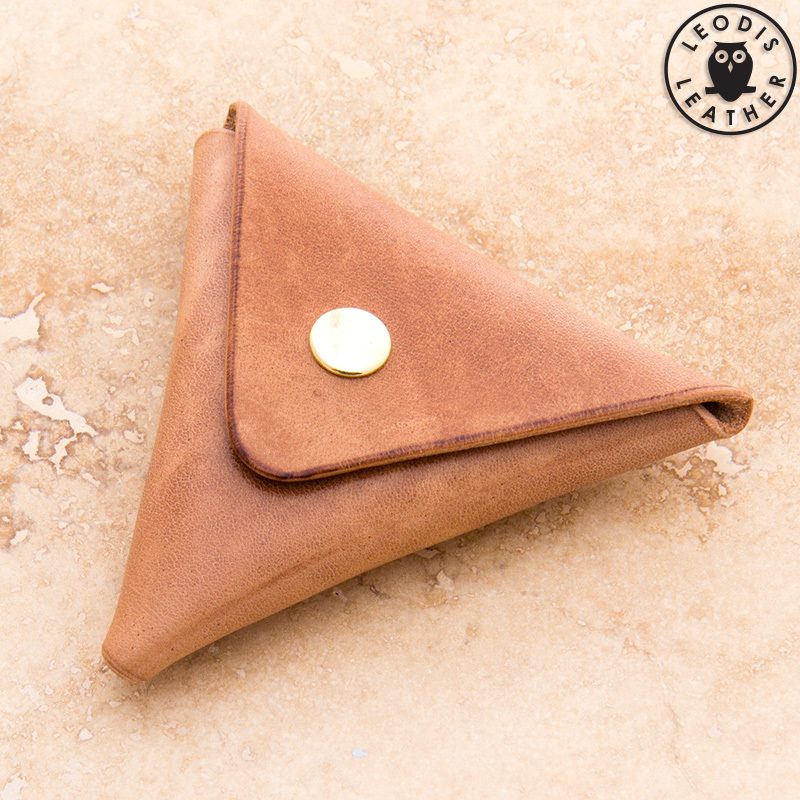 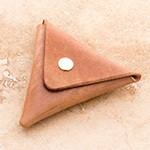 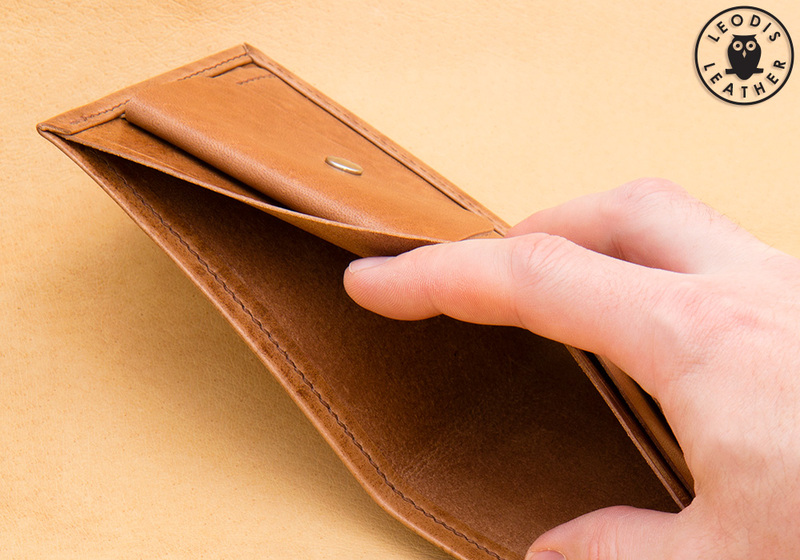 These coin pouches are made from one piece of folded leather. These were one-off special projects and are not available to order. 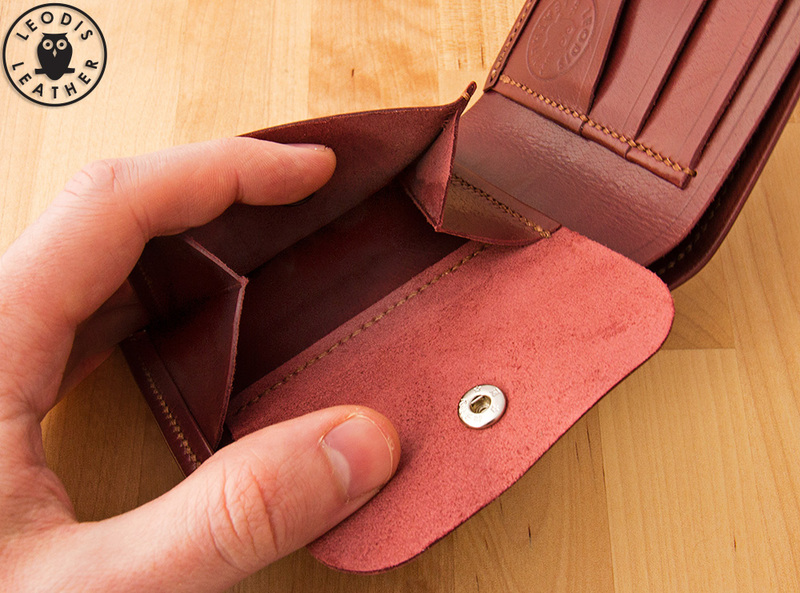 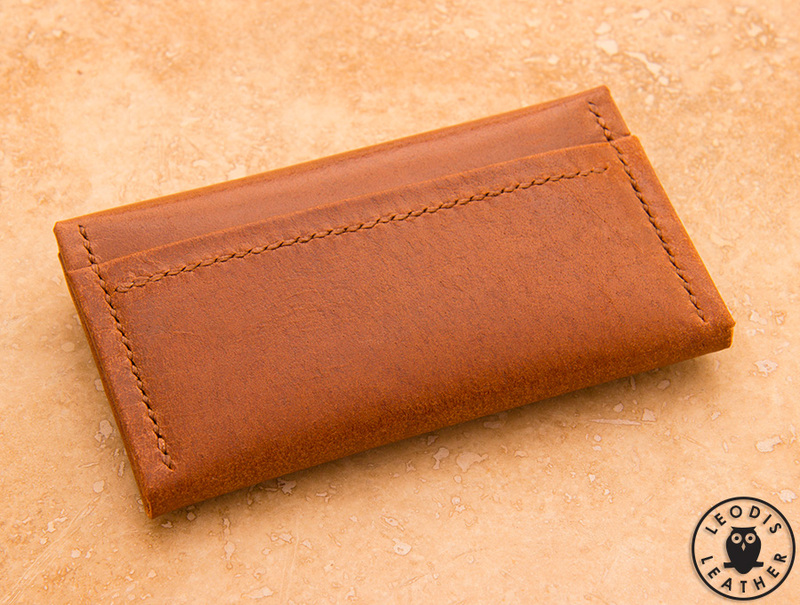 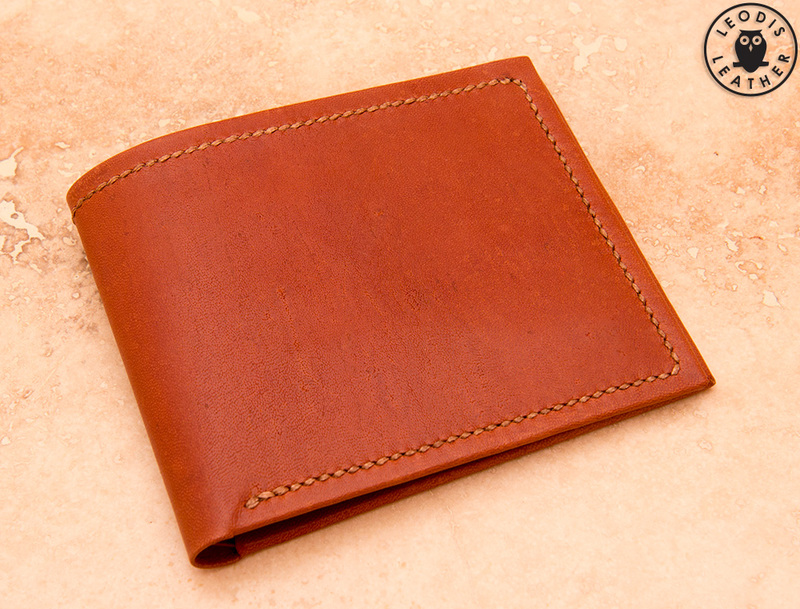 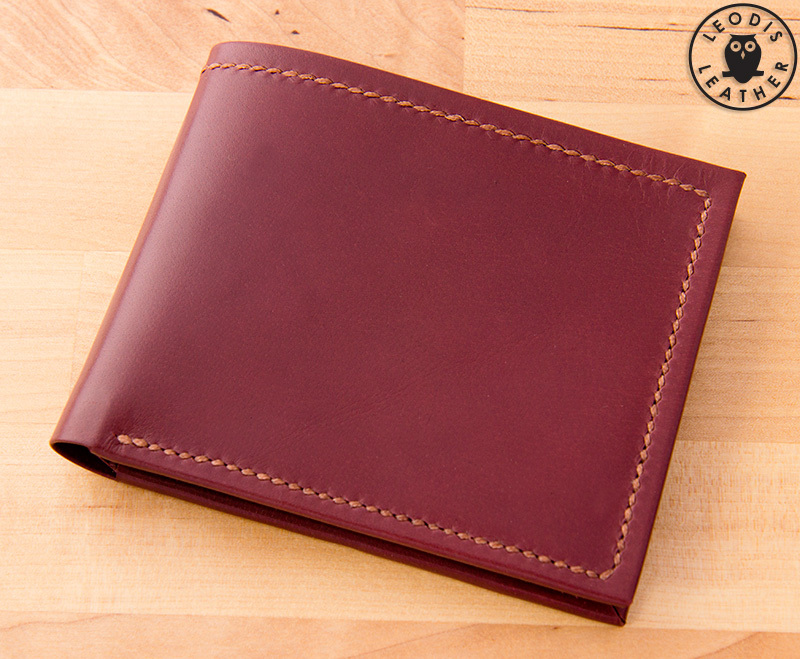 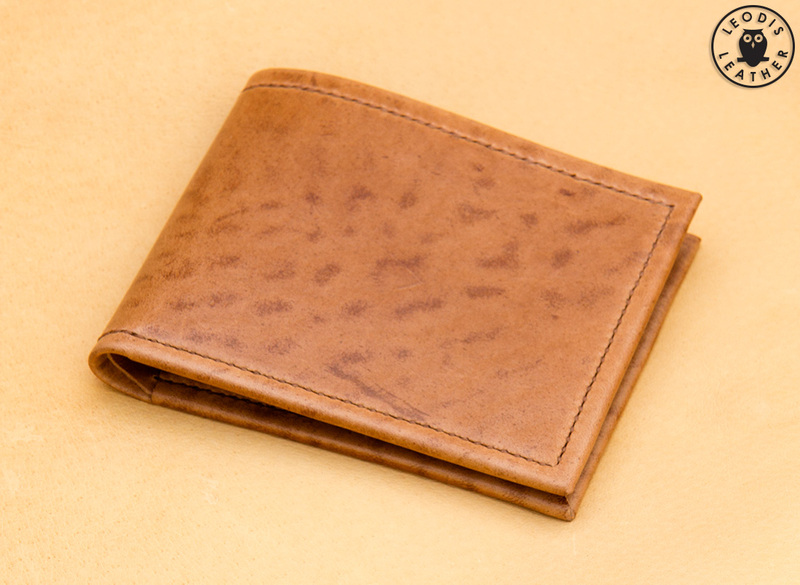 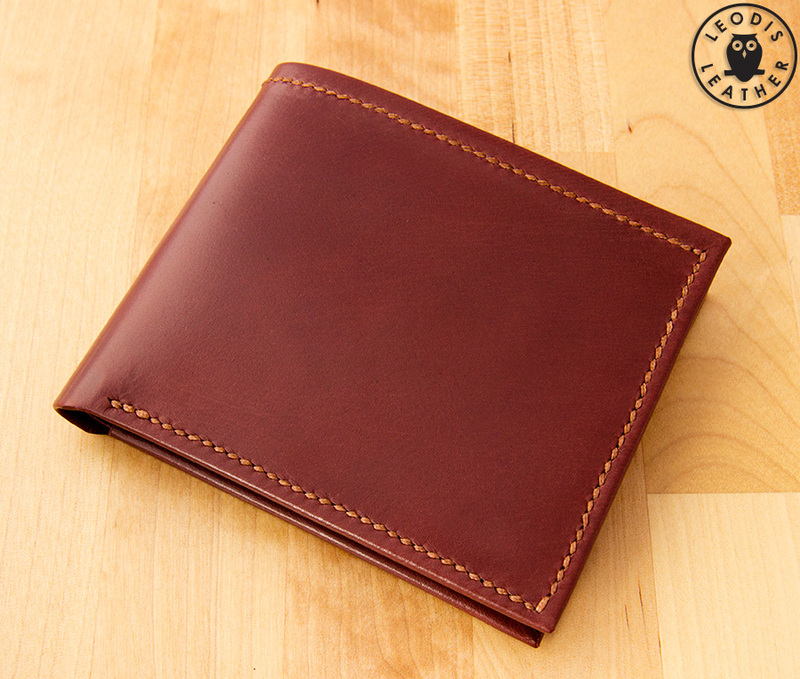 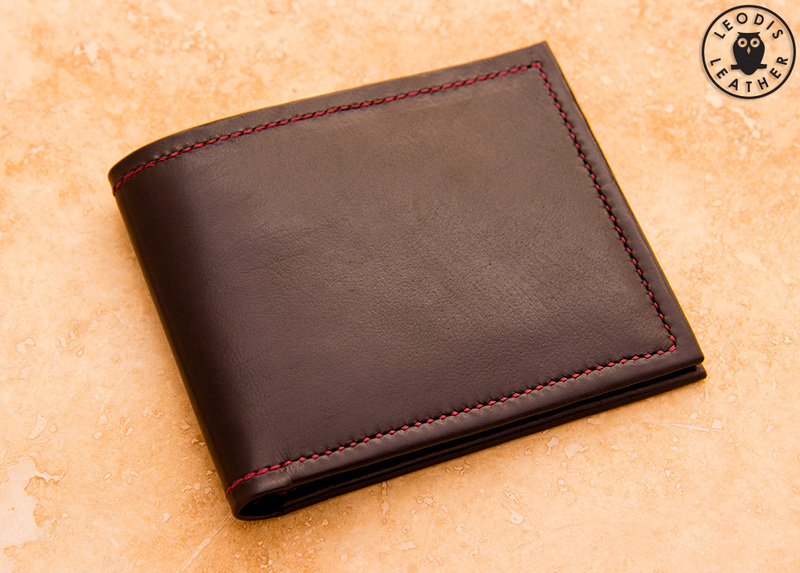 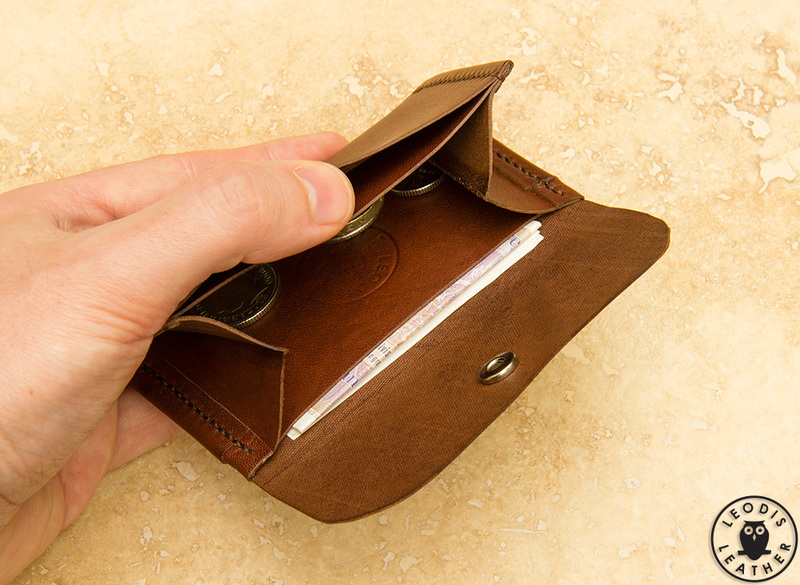 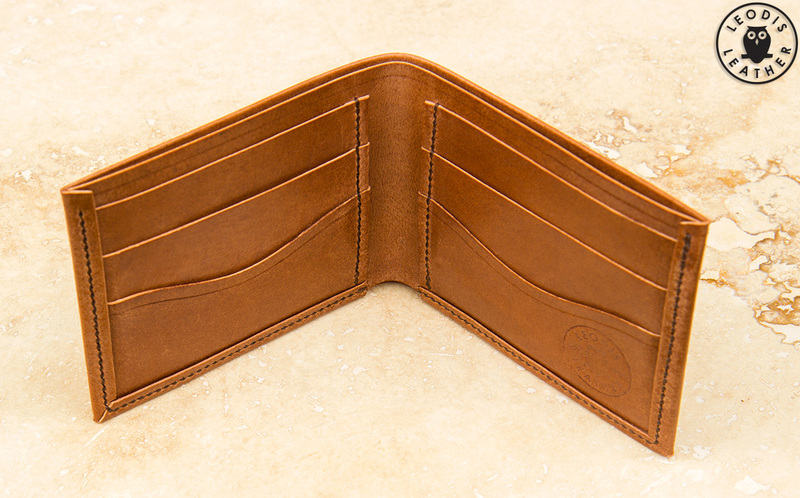 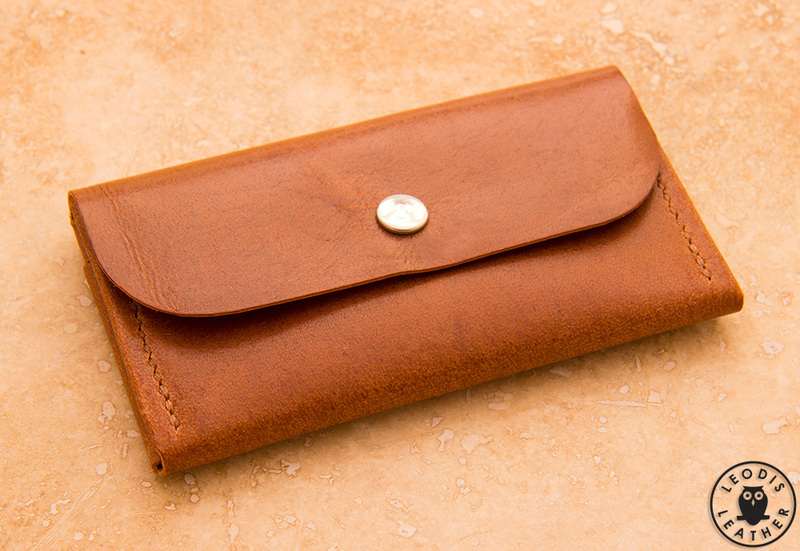 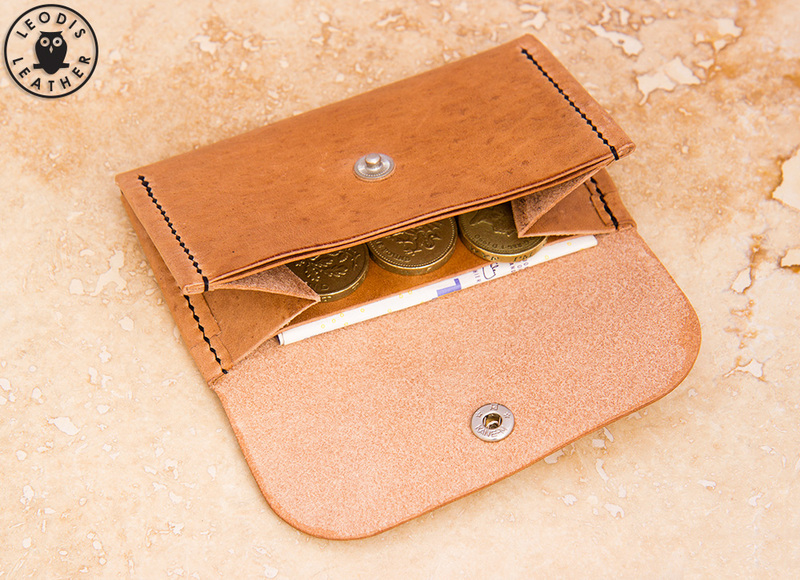 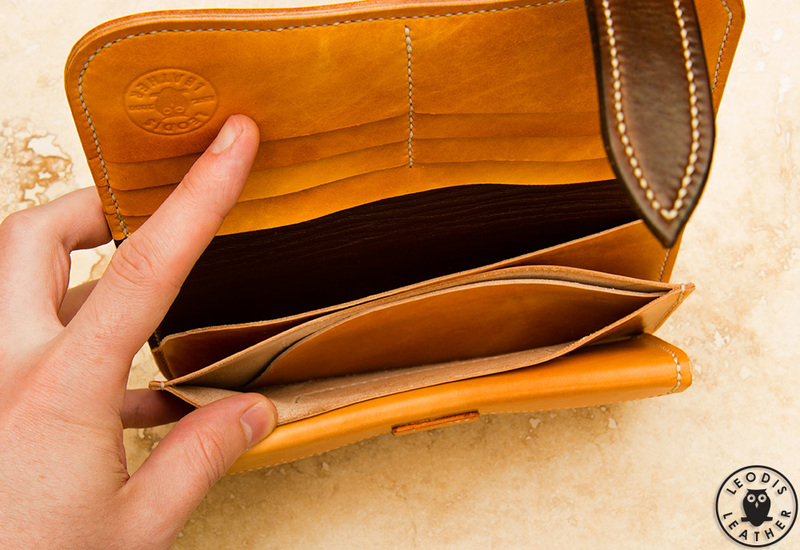 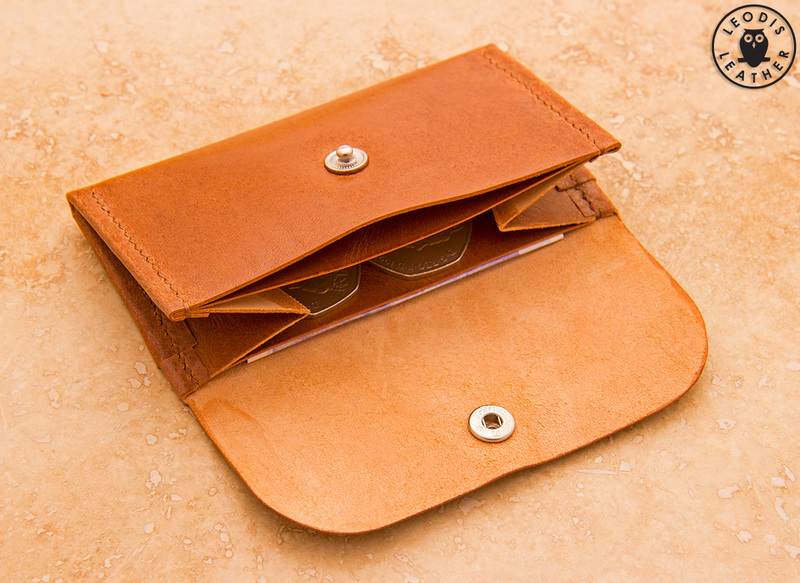 This coin wallet was made entirely from Horween shell cordovan. 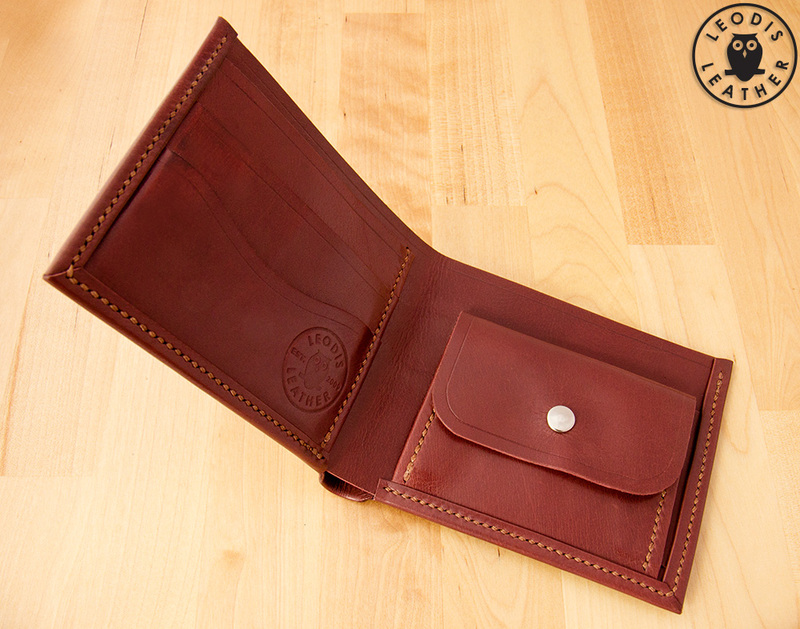 As something a bit different to normal I had a go at making this Japanese ‘Long Wallet’. 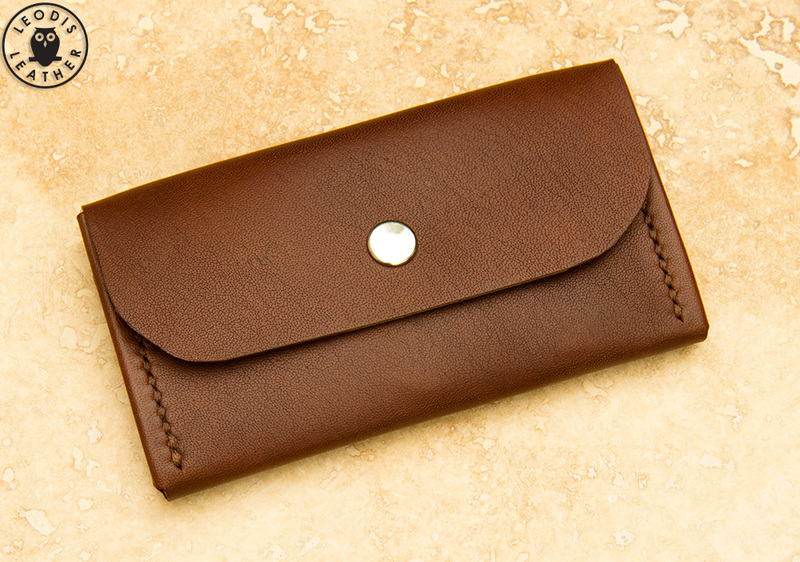 In Japan these are a male fashion accessory but in the West would almost certainly be sized as a lady’s purse! 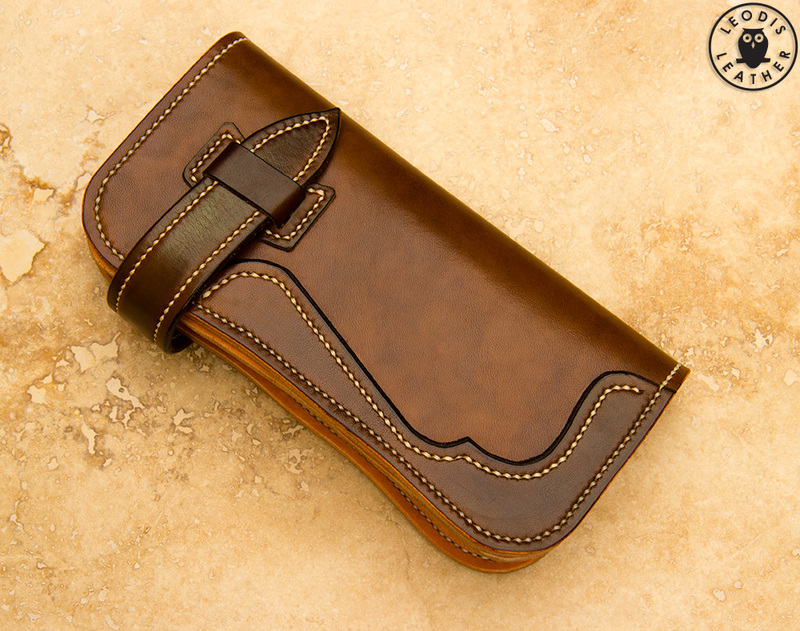 Made from a cowhide backing, calfskin interior and a goatskin lining, hand stitched throughout.